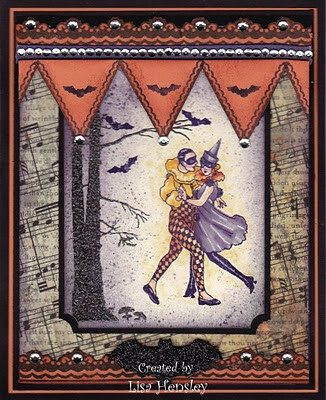 Another gorgeous image from Crafty Secrets' Costume Cuties set! Putting the elements together on this one was a bit of a challenge, but I finally got it to work. 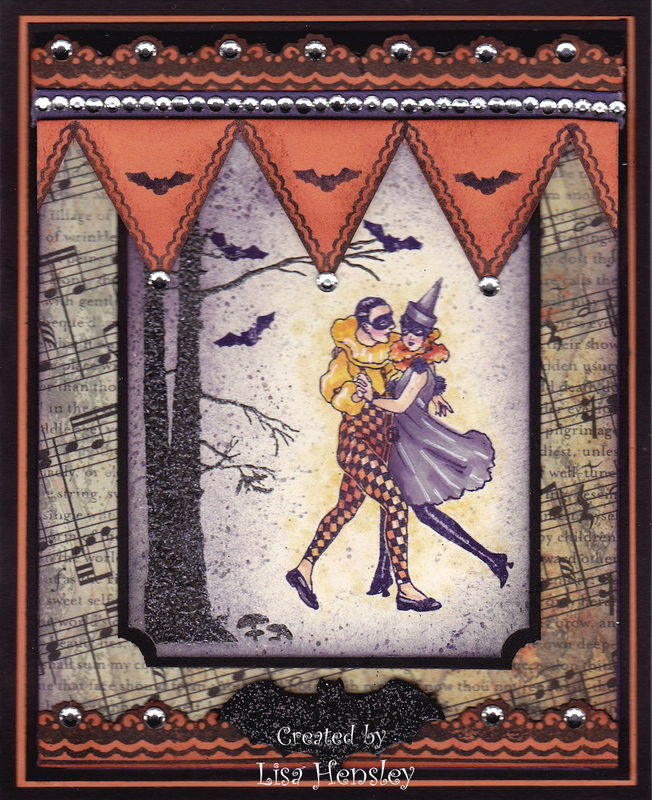 Things to know: The tree, bats and dancing figures are all from Costume Cuties -- I just put them together. The tree is stamped in Black craft ink and clear embossed. The pennant and the curly/scalloped banners are from Crafty Secrets Artsy Banners. The bat is done with the SU! small bat punch, then covered with black ultra-fine glitter. Unless otherwise noted, all products are SU!